As a way to foster connection with and understanding of our region's diverse cultural and religious groups, the nonprofit Spokane Interfaith Council is releasing a series of online videos for its "Meet the Neighbors" campaign. Two short videos released so far highlight the traditions and services at the Sikh Temple of Spokane and the Spokane Islamic Center. Over the course of six months starting in December, the Spokane Interfaith Council is inviting residents to learn about the city's minority religious populations through these videos, and in person at its "Meet the Neighbors" events. The first event in the series was held earlier this month, on Dec. 3, at Temple Beth Shalom, Spokane's Jewish Synagogue. Next up is a gathering at the Spokane Islamic Center, on Jan. 19, at 6 pm. All of these community event are free and open to the public. “The most meaningful way to break down barriers is to build bridges,” explains IFC president Skyler Oberst in a press release about the series' new video. “Studies show that people are curious and open to visiting and learning about other religions, yet are reluctant due to lack of knowledge of how to visit, and fears of inadvertently being disrespectful." The first two videos introduce viewers to the featured religions by explaining the customs of respect when entering places of worship, such as removing one's shoes, and by explaining the steps of the service. 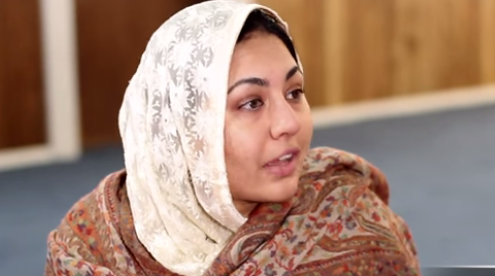 On-camera interviews with members of the Sikh and Islamic faiths include personal invitations to the community to visit and learn about these religions many of us may know little about. "Religiously motivated incidents of defamation are on the rise in Spokane, culminating in preëmptive actions by religious communities such as the local Islamic Center using barbed wire to line its property and the Synagogue being patrolled by the Spokane Police," Oberst says. "Education and meaningful experience with marginalized groups in Spokane is essential to address hatred, and build community." Find out more about the series at the Spokane Interfaith Council website and Facebook page, and watch the first two "Meet the Neighbors" videos below. Upcoming video features and events in the series include introductions to the Buddhist Sravasti Abbey, the Spokane Tribe, the Cathedral of St. John the Evangelist and a Baha'i gathering.